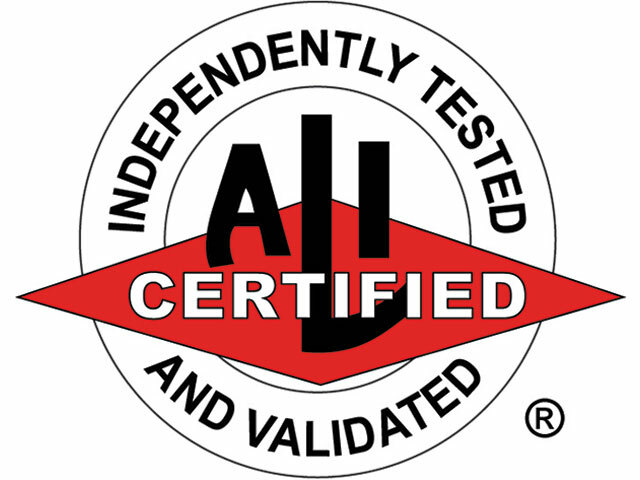 ALI (Automotive Lift Institute) governs the safety standards for automotive lifts in the U.S. ALI Certified lifts must all pass the exact same testing, material and operational standards. This testing covers the structural integrity, proper control function and even overloading the lift beyond its rated capacity. The procedures are PASS - FAIL. Either you get the sticker or you do not. Rotary, Forward, Mohawk and ATLAS Certified Lifts are all subject to the exact same production and testing standards. If a product carries the ALI Gold Label you can be assured that the equipment and the manufacturing facility it is produced in are in compliance with the ALI Standard. The facilities are audited at least two times, yearly, to guarantee the process and product adhere to the ALI Guidelines. IBC or International Building Code is in use in all 50 States. This Code states that for every region governed by IBC, automotive lifts must adhere to the ALI Standard in order to obtain permits for lift installation in new construction buildings. Every piece of garage equipment eventually needs Service or Parts. ATLAS offers a ‘Parts-Only Warranty’ with U.S. phone based tech support. It is easier to obtain parts from ATLAS than ANY other lift company. We are able to work with the customer and diagnose issues quickly without expensive service calls or hard to find/schedule service companies. And, the tech support is LIFETIME. Monday through Friday during business hours and for the LIFE of the equipment you can call and get help from us to diagnose or, guide you in the repair of any piece of ATLAS Equipment. Our products are designed to be component replaceable, and we stock thereplacement components. We can diagnose and provide the part to correct any issue in less time than any service company could even arrive at the location to diagnose it. We sell more above ground lifts than any other company in the United States. We did this with the same exact service philosophy – if you can fix a car, you can fix anything we sell with the help of our knowledgeable tech staff. We do not vary the product warranty based on who installs or services the product. Anyone can obtain parts directly from ATLAS, and we do not hold people hostage to Authorized or Certified Service/Installation Companies.